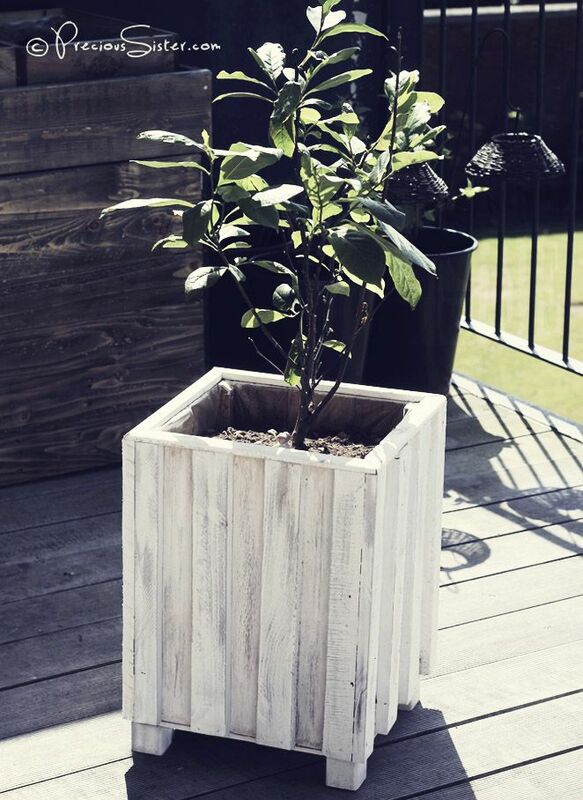 There are many choices of material for planters and flower pot but what more eco way to tie in your feature pots than to use a natural material like wood. They give a warm feel, especially when new, with a gold brown and later a silver grey. Both of which help the garden age elegantly as a unit. 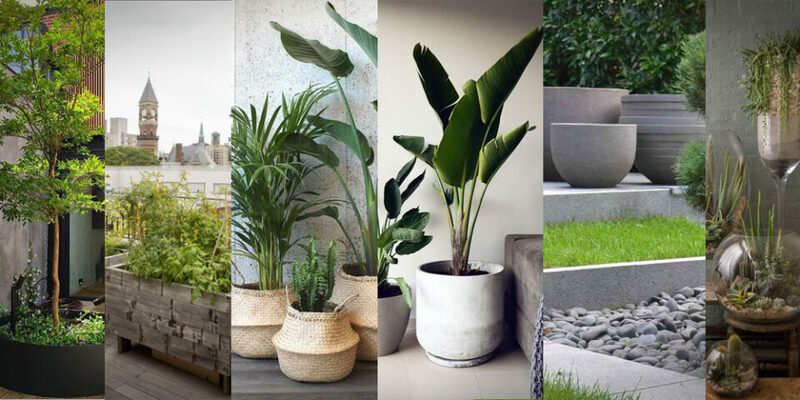 Other flower pot materials like concrete, GRP, plastic or metal all give different experiences varying from practical to contemporary. 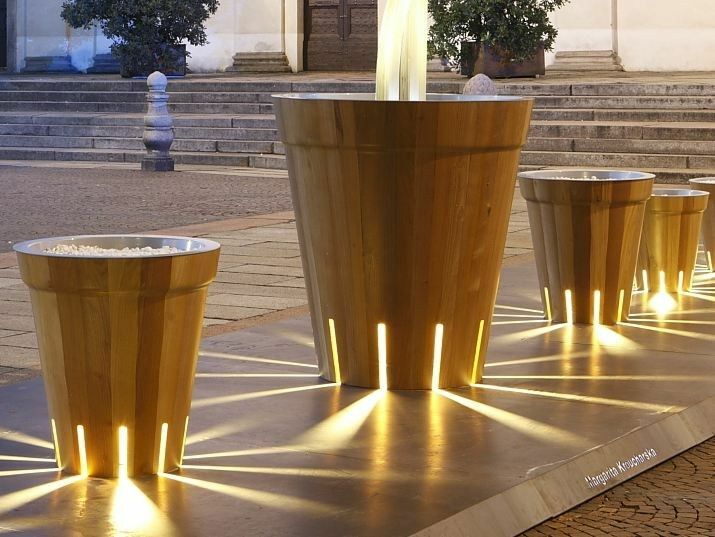 My own work comes in fibre reinforced concrete but I wouldn’t blame you for wanting some of these designs. Wood’s warmth, natural source, lightness, durability and strength all mean that it lends it self DIY projects and flat pack build it yourself products. 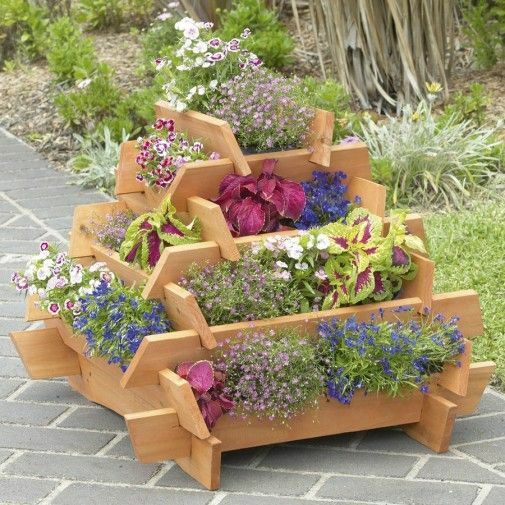 There a several clever solutions around that allow panels to be slotted together and create a layered garden effect that gives a quaint garden planter effect. For the same reasons as above the properties of wood allows easy custom project not only to be made but also to be installed. One of the problems with concrete is the sheer weight of the stuff. 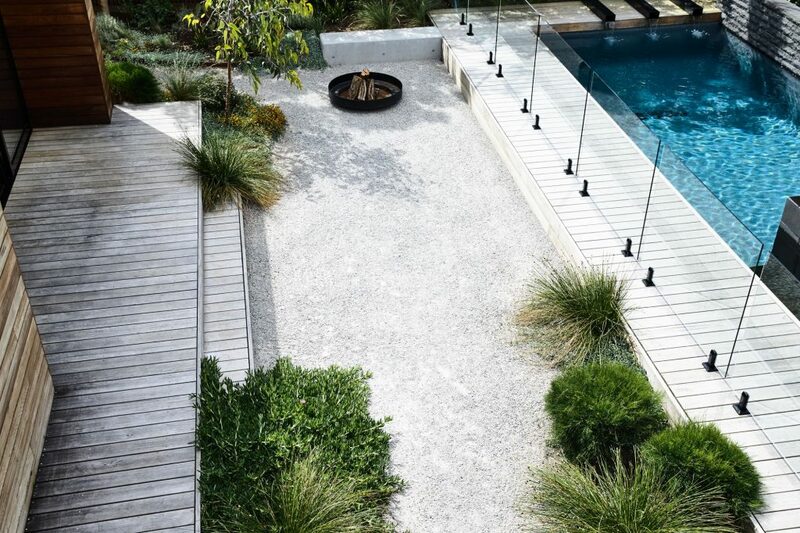 A pre-cast bench made from wood would be a manageable weight for a couple of men to move but made from concrete the same outdoor furniture would need special lifting equipment. One of the beauties of wood is that it can take many different appearances depending on it’s treatment. Some woods can build a life long protective seal by scorching the exterior which gives a blackened look which. Or staining, sanding, leaving bare will all create interesting effects for different styles. 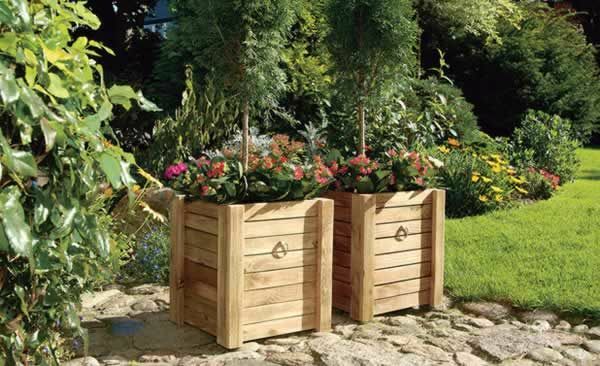 In contrast to rustic looking planters a treated wood will look very fresh and clean. Many products can stain the wood and alter the colour of it but to retain the natural warm colour of fresh wood is very hard. 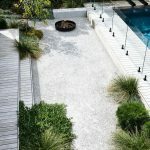 The wood reacts very quickly to UV sunlight and it is hard to find products to counter act that without changing the colour of the wood in the first place. 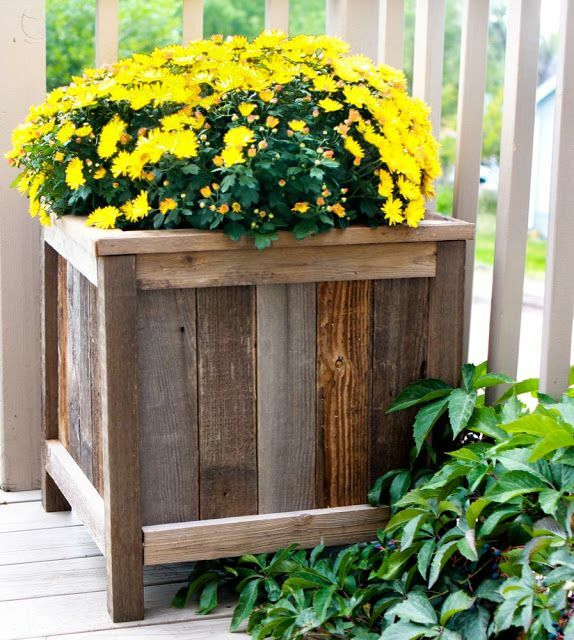 Painting the wood will again give another look and the shabby chic lovers can take some sand paper to the surface of the flower pot to make it a little less perfect and give it some more character. 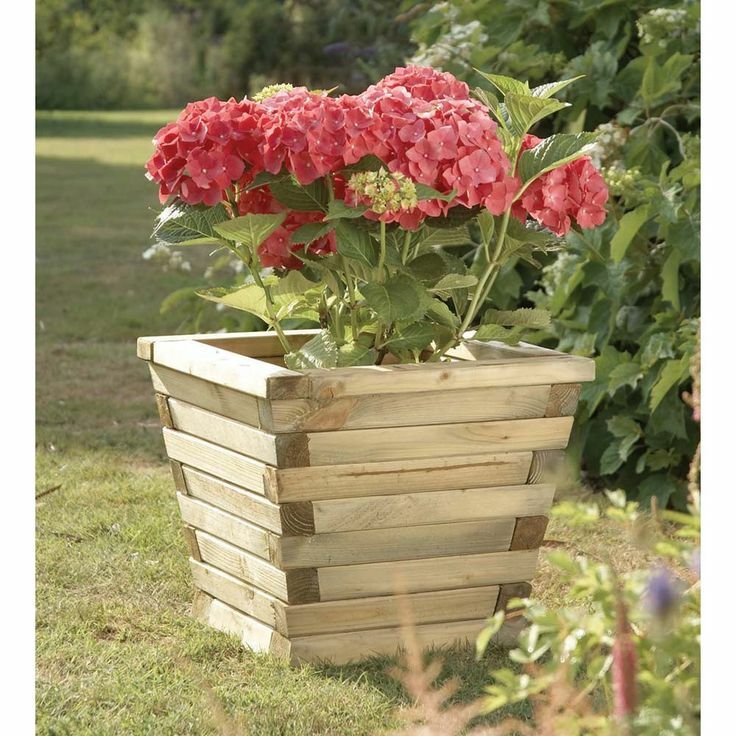 This is a good technique for new products that look a bit too fresh for your garden. 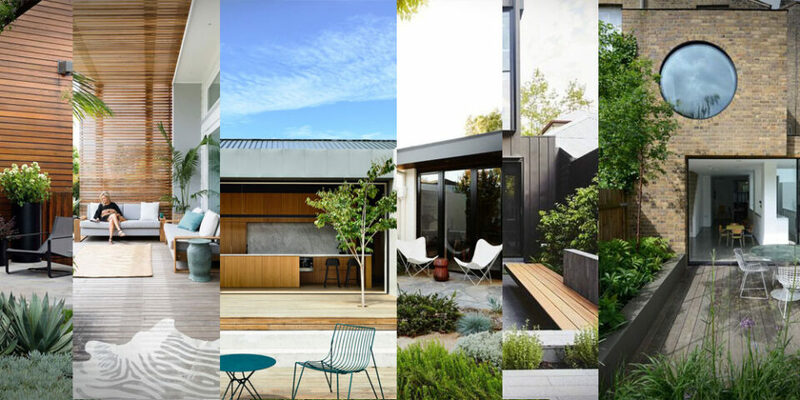 From shabby chic to neat and smooth. 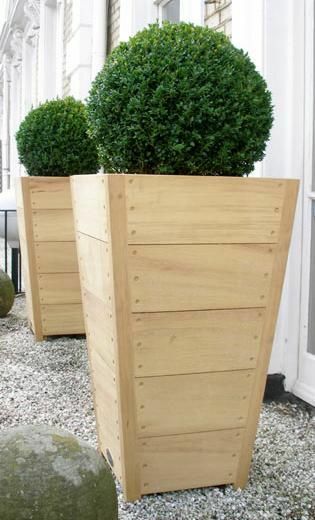 Varnish finished wooden flower pots will look very good and smart,something for the more contemporary or corporate space. This look will need maintaining and every now and then the planter will have to be sanded down and re varnished. Depending on the shape of the pot this may be a feasible task or not but it is unlikely that an ornate shape will have been designed to be sanded down. There are several different method for connecting wooden panels together and each one can have a different look. Joinery in it’s own right is an art form with much skill and knowledge needed to cut and shape seamless products. 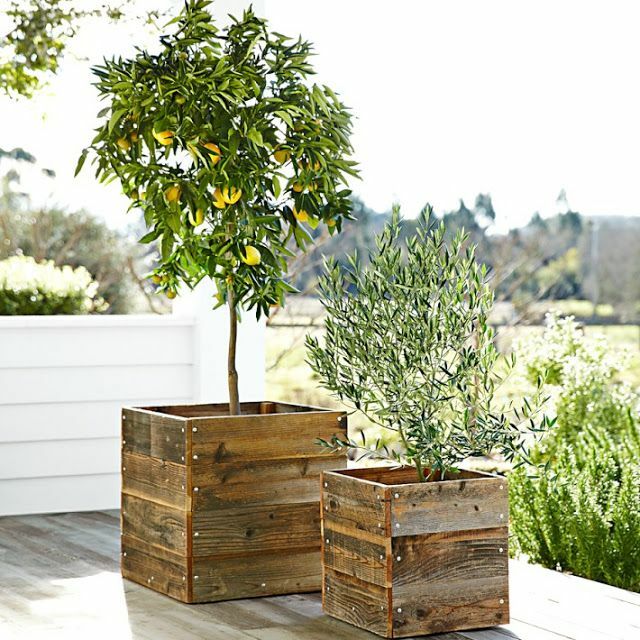 Having the perfect seamless wooden planter for outside is less important then you mightthink though. Whilst it will start wonderfully tight and accurate if it gets wet and isn’t seal correctly then the wood will expand and make gaps appear where the wood meets. In this case maybe a DIY look is better to start with.